This week was probably the most profound combination of new album announcements in many moons. Don't let the country music charts fool you, traditional country is alive and well based on all of these forthcoming albums. 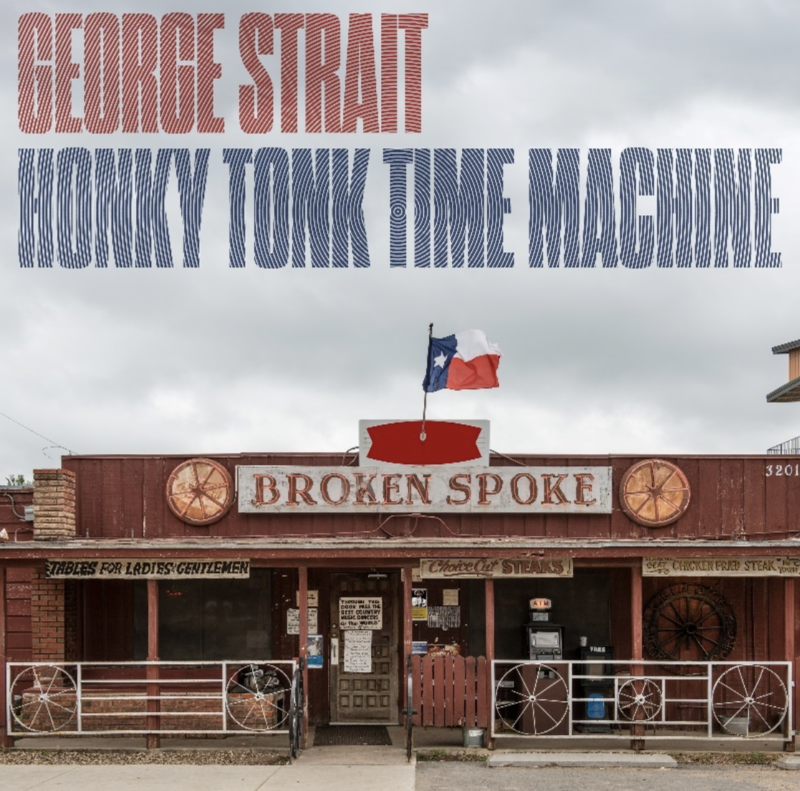 King of Country Music George Strait announces today his brand-new album Honky Tonk Time Machine due out Friday, March 29 on MCA Nashville. Comprised of 12 original titles plus Strait’s version of the Johnny Paycheck classic “Old Violin,” Honky Tonk Time Machine marks an incredible 30th career studio album for Strait. Strait, who produced the album alongside Chuck Ainlay, wrote eight of the 13 tracks including “Sing One with Willie” featuring Willie Nelson that the pair happily debuted at a recent Nashville show marking the first time the two country icons have ever shared the stage. According to Rolling Stone, former Stained frontman Aaron Lewis will release his third full-length country album, State I'm In, on April 12 via Big Machine imprint Valory Music. The follow-up to 2016's Sinner was produced by Buddy Cannon and it features 10 tracks, six of which were written or co-written by Lewis. Songwriting collaborators on the disc include Dan Tyminski, Keith Gattis and Waylon Payne. The album's first single, "The Bottom", launched yesterday. The self-proclaimed "Northern Redneck" achieved critical and commercial success with his last album. "My music is very first person, very autobiographical," said Lewis. "It's from my life experiences that I draw inspiration for my songs." 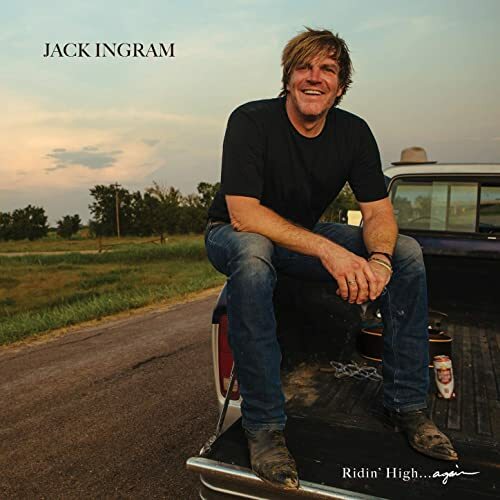 Few detail have been released on the upcoming March 29th release from Jack Ingram called Ridin' High... again, but it is on pre-sale on Amazon and i-Tunes. Having gotten to know Jack a little bit, however, through him being our generous host several years for my Golf & Guitars Music Festival, we can piece together a couple of unique tidbits on the project. First, it is being released on his own Beat-Up Ford Records. Secondly, he's great pals with friend Matthew McConaughey, which make the first song on the album unique as that's his buddies most famous conversational tagline. Track four was made famous by his longtime friend and mentor Guy Clark (and then covered famously by The Highwaymen) and track ten is a dedication to Clark himself. Track 7 is his own version of the Song of the Year that he co-wrote with collaborator Miranda Lambert. And lastly, track 13 was the name of Kris Kristofferson's fourth album and a track "owed" to John Prine. Jack has always forged his own path with his music, letting his muse guide his way. Even when he was on the Big Machine record label out of Nashville, his projects had heart and substance- covered in his own fingerprints. Since going the independent route again, that muse has become far more personal and introspective and I for one, can't wait to hear the new project. And last but not least, it looks like William Michael Morgan has (unfortunately) been dropped by the Warner Nashville music label. His debut single "I Met a Girl", reached number two on the Country Airplay chart and number eight on the Hot Country Songs chart in October 2016. His debut studio album Vinyl as released in September 2016. That project was outstanding as has been the many samples that he has been teasing on YouTube. Hopefully, a label will scoop him up soon.